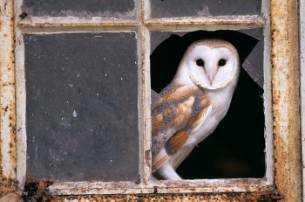 A section of the new Infrastructure Bill designed to control invasive species could end up harming important native species such as the barn owl and the red kite. In an open letter to the UK Government published last week in Nature magazine, 24 leading scientists including Museum researcher Prof Geoff Boxshall called for the bill to be re-written. The letter states that, "If the bill is passed in its present form, it could lead to an irreversible loss of native biodiversity." The draft bill defines non-native species as those that are “not ordinarily resident in, or a regular visitor to, Great Britain”. This definition covers past native species that are now extinct, species that may become naturally established under a changing climate, and species listed in Schedule 9 of the Wildlife and Countryside Act. Schedule 9 contains, among others, several species that have gone extinct in the UK and been reintroduced, such as the barn owl and the capercaillie (a type of grouse). The barn owl is one species that could have its status changed by the new bill. © David Tipling Photo Library / The Trustees of the Natural History Museum, London. The wording of the bill means that species slated for reintroduction, such as the European beaver and wolf, would be classed as non-native and their conservation threatened. Species naturally migrating from Europe as the climate changes, such as butterflies and other insects, would also be punished by the new definition. The classification of native versus non-native is an ongoing matter for scientific debate, particularly in the face of climate change. By using such a simplistic definition, the government effectively bars the possibility of reintroduction of locally extinct species and adaptation to climate change. Amendments have been suggested in the House of Lords to correct the problems in the legislation, but so far these have been rejected. 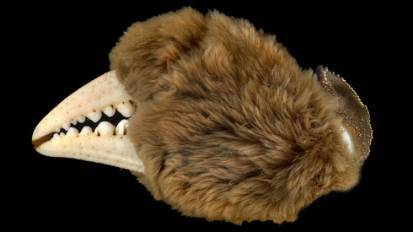 Read about a mysterious beaver found in Devon earlier this year. Find out how some true non-native species can be an ecological and economic disaster. The spotted green pigeon, a mysterious species collected in the 1700s, turns out to have been a flying relative of the dodo that likely lived in the trees of the South Pacific. Only two specimens of the pigeon were ever described, in 1783, and since then one has gone missing. The location they were collected from was not recorded, but they are associated with South Pacific voyages. The only remaining specimen is held at the World Museum (formerly Liverpool Museum), National Museums Liverpool. In its original description, the spotted green pigeon was said to closely resemble the Nicobar pigeon, a bird native to Indonesia that prefers to live on small remote islands. This, and it's obscurity, led some to speculate that the spotted green pigeon was just an unusual variety of the Nicobar pigeon. Determined to find out once and for all, the World Museum asked our bird expert Hein van Grouw and colleagues in Australia to investigate their specimen. Using detailed morphological analysis and genetic testing, the team identified the spotted green pigeon as a distinctive species in its own right. The only remaining specimen of the spotted green pigeon. Photo by Hein van Grouw. Preliminary results from the genetic testing reveal the pigeon is in the same family as the dodo and its extinct flightless relative the Rodrigues Solitaire. It's somewhat of a mystery how the specialised flightless dodo got to its isolated island habitat, but finding more relatives can help clarify the picture. The addition of the spotted green pigeon to the lineage may add some evidence to the 'stepping stone hypothesis', which suggests ancestors of the family island-hopped from India or Southeast Asia. van Grouw is completing his morphological analysis that will help determine what kind of lifestyle the spotted green pigeon had. It was originally described as having short wings, suggesting a ground-dwelling lifestyle like the dodo, but this turns out not to be the case, and it is more likely that it lived in the trees eating fruit and berries. Determining the spotted green pigeon as a separate species has another consequence. Since no others have ever been seen, it can confidently be added to the extinct species list. Sub-millimetre-sized wasp discovered in scientist's son's playground. Museum wasp expert Dr Andrew Polaszek has identified a new species of tiny wasp living inside whiteflies on a tree in his son's playground in Sevenoaks, Kent. The wasp is a parasitoid. While true parasites depend on other organisms their whole lives, parasitoids just lay their eggs in other organisms. The larvae of newly discovered wasp, named Encarsia harrisoni, are born inside whiteflies and eat their way out. Dr Polaszek made the discovery five years ago, but there was a lot of work to do to define it as a new species. Even more surprising to Dr Polaszek is that the new species is native to the UK. In those five years Dr Polaszek has been regularly collecting the new wasp, but has never found a male, suggesting that females can lay eggs without them. This is similar to other parasitoid wasps, such as the related Encarsia formosa. The new species is named after local scientist Dr David Harrison, chairman of the Harrison Institute that promotes taxonomic research to support biodiversity studies and conservation. The institute is only a few hundred yards from the trees where Encarsia harrisoni was discovered. Birds targeted by cuckoos develop sophisticated egg patterns to help them recognise the fakes. Cuckoos infamously lay their eggs in the nests of other birds, forcing them to care for their young. But species that are repeatedly targeted by cuckoos have developed a range of complex egg patterns to help distinguish the invader's eggs and kick them out of the nest. Cuckoos will hatch before their nest-mates and throw them out, so that the parent birds will only raise the cuckoo. When a host bird recognises a cuckoo egg, they may puncture it or throw it out the nest before it hatches. Scientists from Harvard and Cambridge Universities developed a pattern-recognition software called NaturePatternMatch that mimics the way birds see the world. 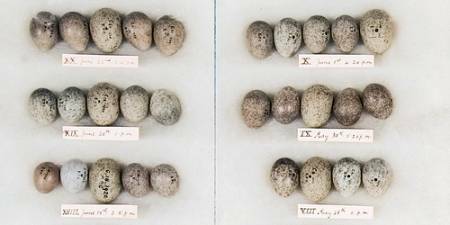 Using the extensive egg collections of the Natural History Museum at Tring, they then analysed the eggs of eight bird species commonly targeted by cuckoos. They found that where cuckoos had developed accurate copies of host-bird eggs, the host birds had in turn developed more complex egg patterns. 'The egg patterns on cuckoo and host eggs reveal an evolutionary arms race,' said lead author Dr Mary Caswell Stoddard from Harvard University. Samples of cuckoo's eggs in host bird clutches from the Museum's collections. Cuckoo's eggs are often bigger than their host's. The host birds studied used different techniques to set their eggs apart. Some females of the same species, such as the great reed warbler, laid very different eggs to each other, but very similar eggs within their own nest. Others, such as the brambling, lay eggs with unevenly spaced, sparse markings, making a good signature. Museum egg and nest curator Douglas Russell said he was 'fascinated by the insights [this paper] provides into the particular mechanisms that appear to be involved.' The extensive bird collections, which cover 95% of all bird species alive today, are involved in numerous studies. The NaturePatternMatch software may also be used in a range of projects. 'How do animals recognize their neighbours, enemies and kin? How have visual signals evolved to maximize distinctiveness? Computer vision tools like NaturePatternMatch will help us answer these important evolutionary questions,' said Dr Stoddard.